If you’ve just read that title and done a double-take, then we don’t blame you. In fact, go ahead and have a third try at it. We’ll wait right here. Nope, still doesn’t quite compute, does it? 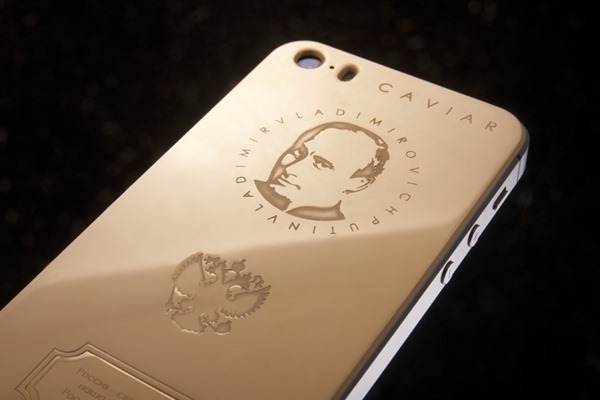 You may have already heard of gold iPhones being sold for silly money to anyone daft enough to buy them, but the ‘Caviar iPhone 5s Supremo Putin’ takes things one step further by engraving Russian premier Vladimir Putin’s bonce on the back of it. In fact, just to make sure you get your patriotism badge – assuming you’re Russian, that is – the phone even has the first two lines of the country’s national anthem as well as its coat of arms engraved for good measure. Well, if something’s worth doing, it’s worth doing right, after all. If you’re sat reading this with your credit card in-hand, waiting to find out where to buy one, then take pause – it ain’t cheap. 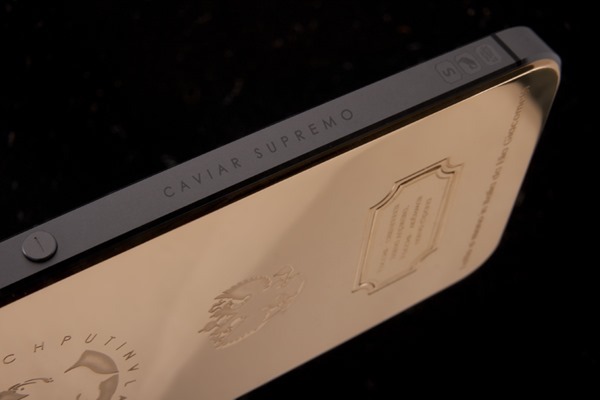 In fact, you’ll need 4,360 of your capitalist American dollars in order to get your mitts on one from luxury jewelery house Perla Penna. If that doesn’t put you off, then it’s worth remembering that in a few months, that 4-grand iPhone is going to be out of date thanks to the iPhone 6. 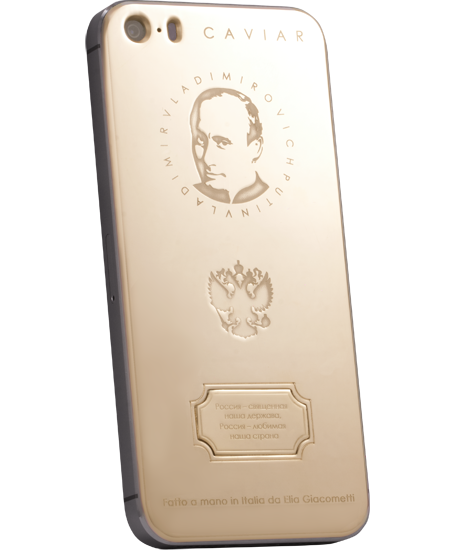 Apparently “the best way to express patriotism,” the Putin-phone isn’t the first iPhone to come from the folks at Perla Penna that features the mug of a famous person on its rear. The likes of Steve Jobs have also featured, as has Leonardo de Vinci. If we’re honest, we’d rather have either of those, but then we’re not Russian. But we don’t particularly want one with our own country’s top guy on the back, either. 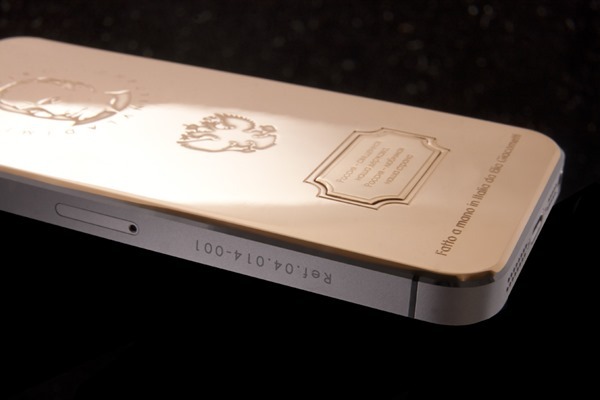 There are tons of reasons why you should, and should not, buy a phone with someone’s mugshot on its rear shell. 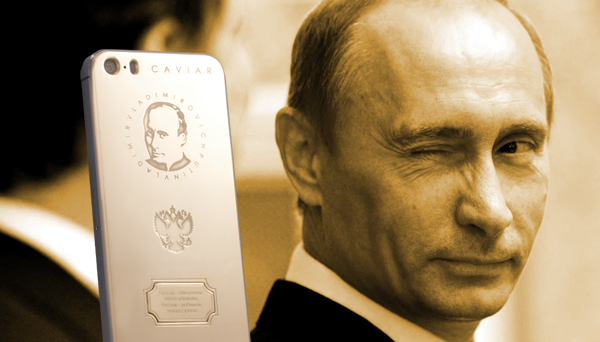 But again, instead of convincing you, or taking you on a route otherwise, let us know in the comments section below why you would – or would not – buy the Putin iPhone. We’re sure you have plenty of reasons, so why not share them with us!